This Top Domain is for sale! 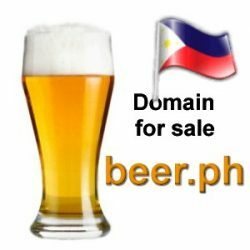 If you are interested in this Top Keyword Domain rhum.ph, you can buy this domain on the Sedo Domain Marketplace or send us your offer for rhum.ph with the form below. After you buy a domain name from us, you have to ask your registar or your provider to initiate the transfer of the Domain in your name and to your account. The transfer of a Domain is not complicated, but can take some days, depending on the registrar what you choose. If you buy the Domain rhum.ph on the Sedo Domain Marketplace a Secure Payment and Transfer Service (escrow service) is included. This Top Three Letter Domain (3-letter-domain) is for sale! 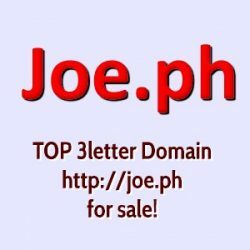 If you are interested in this short Domain joe.ph, you can buy this domain on the Sedo Domain Marketplace or send us your offer (minimum US$ 590,-) for joe.ph with the form below. If you buy the Domain joe.ph on the Sedo Domain Marketplace a Secure Payment and Transfer Service (escrow service) is included.